Outlook 2010에서 영구적으로 삭제 된 전자 메일을 복구 할 수 있습니까? Remo Repair PST 소프트웨어는 Microsoft Outlook 2010/2007/2003/2002에서 영구적으로 또는 실수로 삭제 된 이메일을 3 단계의 간단한 단계를 통해 안전하게 복구합니다. 무료 데모 버전을 지금 다운로드하십시오.! Microsoft Outlook 2010에서 전자 메일 또는 기타 항목을 삭제하면 지운 편지함 폴더에 직접 저장됩니다. 실수로 중요한 이메일을 삭제 한 경우 지운 편지함 폴더를 마우스 오른쪽 버튼으로 클릭하기 만하면됩니다. Outlook 2010에서 실수로 삭제 된 이메일의 삭제 취소 취소 쉽게. 그러나 지운 편지함 폴더에서 이메일을 삭제했거나 지운 편지함 폴더를 우회하는 Shift + Delete 키를 사용하면 어떻게됩니까? 이 경우 전자 메일은 Outlook 2010에서 영구적으로 삭제되지만 컴퓨터에서 지워 졌다는 것을 의미하지는 않습니다. 다행히도 Remo Repair PST 도구를 사용하여 Outlook 2010에서 영구적으로 삭제 된 이메일을 쉽게 복구 할 수 있습니다. 소프트웨어의 읽기 전용 메커니즘은 영구적으로 삭제 된 전자 메일 및 일정, 약속, 메모, 연락처, 업무 일지, 작업 등과 같은 기타 Outlook 특성을 안전하게 검색합니다..
Remo Repair PST 프로그램의 사용하기 쉽고 사용자 친화적 인 인터페이스로 초보 사용자도 번거 로움없이 Outlook 2010에서 영구적으로 삭제 된 이메일을 복구 할 수 있습니다. Microsoft Outlook 2010뿐만 아니라 Outlook 2016, 2013, 2007, 2003 및 2002에서 분실하거나 삭제 된 이메일을 복구하는 데 도움이 될 수 있습니다. 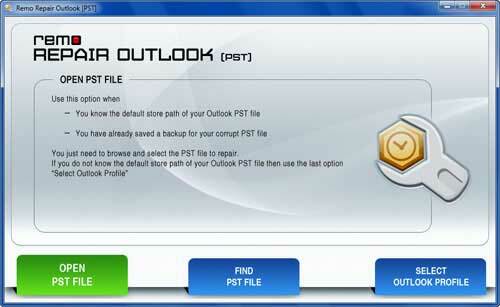 또한 도구 키트는 Outlook 2010의 손상되었거나 손상된 PST 및 OST 파일을 복구합니다. 특대, 파일 시스템 손상, 바이러스 공격, 헤더 손상 등으로 인해 손상된 PST 파일. Outlook 2010에서 영구적으로 삭제 된 이메일을 복구하는 방법은 다음과 같습니다. 무료로 Windows 컴퓨터에 Remo Repair PST 소프트웨어의 데모 버전을 설치하려면 다운로드 버튼을 클릭하십시오. 다음은 Outlook 2010에서 영구적으로 삭제 된 전자 메일을 복구하기 위해 수행해야 할 자세한 지침입니다. Improper Upgrade: Upgrading Microsoft Outlook to 2010 or other higher Outlook version without maintaining suitable backup will cause deletion of emails and other attributes. Abrupt termination of Outlook: Sometimes, sudden termination of Microsoft Outlook while accessing emails from Inbox also cause deletion of important emails. Virus or malware attack: Outlook emails also get permanently deleted due to the intrusion of dangerous viruses or destructive malware programs. In all such instances, emails get deleted permanently from Outlook 2010 but it’s not gone forever. 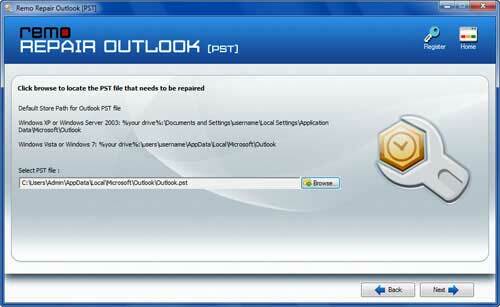 So, you need to act fast to retrieve permanently deleted emails from Outlook 2010. 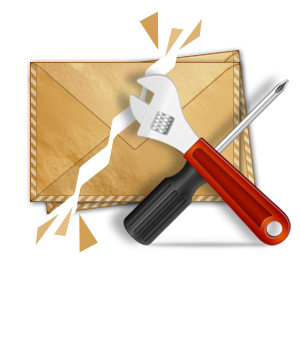 With the aid of Remo Repair PST application, you can effectively recover permanently erased emails from Outlook.